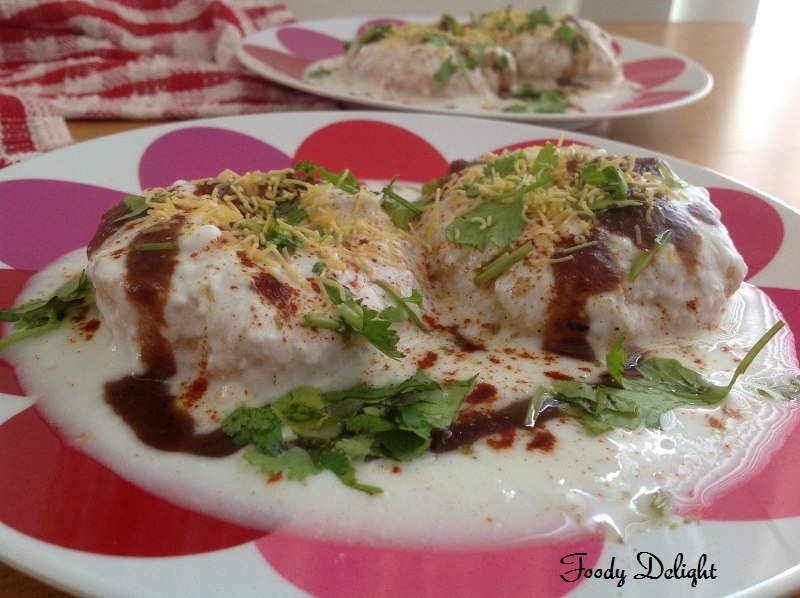 Dahi Vada is the most popular and delectable street food of north India. 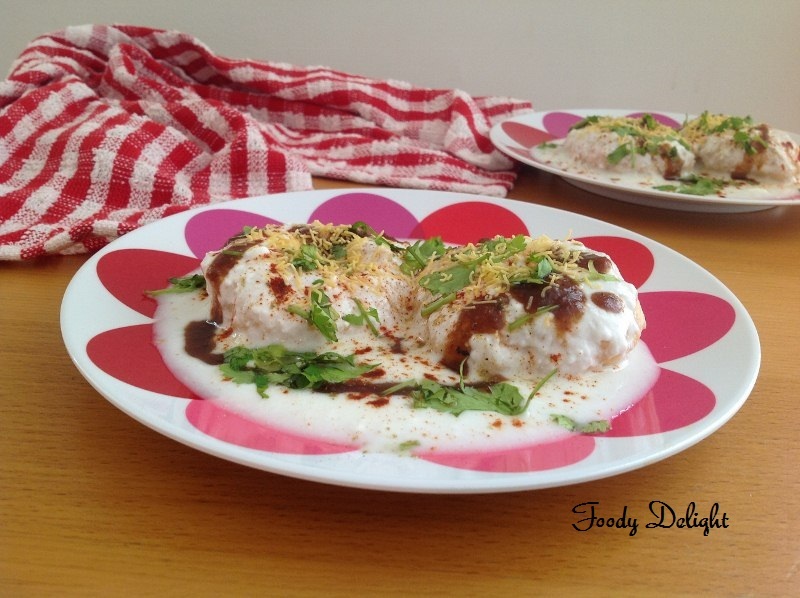 In Punjab, Dahi vada are named as Dahi bhalla. This is prepared with fried lentil balls served with chilled yogurt, chutney and other Indian spices. 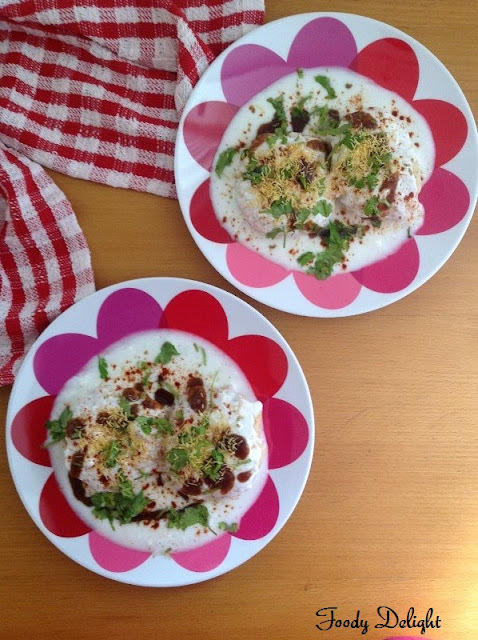 These are truely delicious and especially divine dish during summer times. Medu Vada / Uddina Vada - 4 "Check The recipe here""
Date and Tamarind chutney - 1/4 cup "Check the recipe here"
After frying the medu vadas, drain the excess oil from it and soak them into buttermilk or water for 5 minutes. Then squeeze out the vadas and arrange them in the serving plate ( I have arrranged 2 vadas in each plate). Add salt and sugar to the chilled yogurt .Mix well and pour over the vadas. Sprinkle roasted cumin powder, red chilly powder, chaat masala and date and tamarind chutney. Serve garnished with cilantro and fine sev. 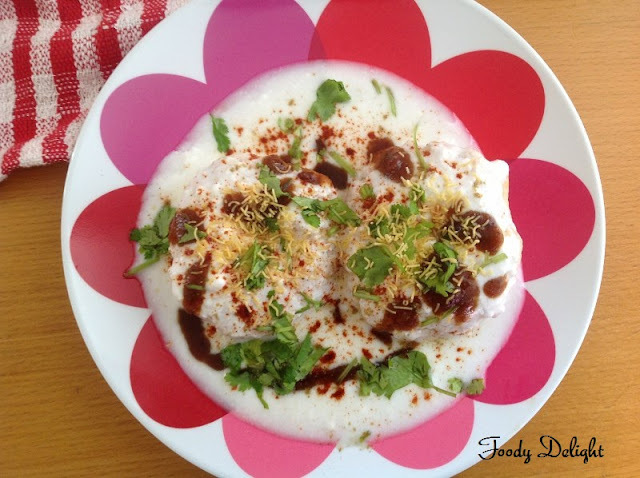 dahi vada looks very tempting..
Yumm, super tempting dahi vada. Mouth watering - looks very delicious! !